"The best seat in the little house" is not only the motto of Best Septic Service, but a statement of fact. Our new units are all in remarkable shape, and are CLEAN. 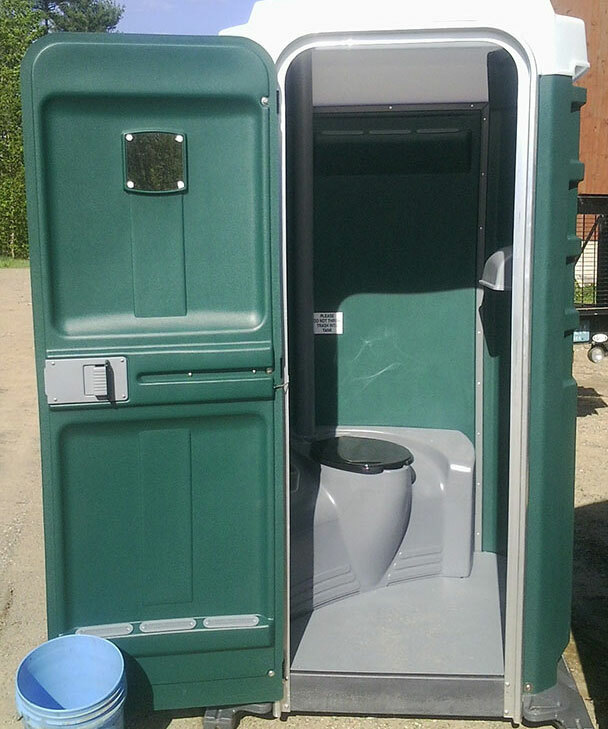 We receive regular compliments from many satisfied customers or users that our portable toilets are so clean that no one hesitates to use them. That is a good thing; after all if you rent a portable unit for your guests you want them to use it without hesitation. Serving the greater Concord area, Best Septic Service charges no extra delivery fees, no set up fees, no surprise fees. There could be fees associated with special requests like last minute orders, after hour deliveries or requested extra services. All of our very clean regular units are forest (Best Septic) green with white roofs; our very clean handicap units are grey or green with white roofs, and sit flat on the ground making it easily accessible for wheelchairs. All of our units have waterless hand sanitizer in them for our customers and your guest's hygiene. Monthly rentals get serviced every week. We bill monthly, cycling on the drop off date (3rd to 3rd, 15th to 15th, etc), prorated by week for early pickups. Weekend rentals are dropped off on Fridays and picked up on Mondays. Having to use a restroom is a necessity. Whether it is at a job site, ball field, apple orchard, maple sugar house or a back yard party or wedding, it's something you need to plan for. You would be kicking yourself if guests tracked mud throughout your house or over burdened your septic system. Don't let these issues spoil your event. 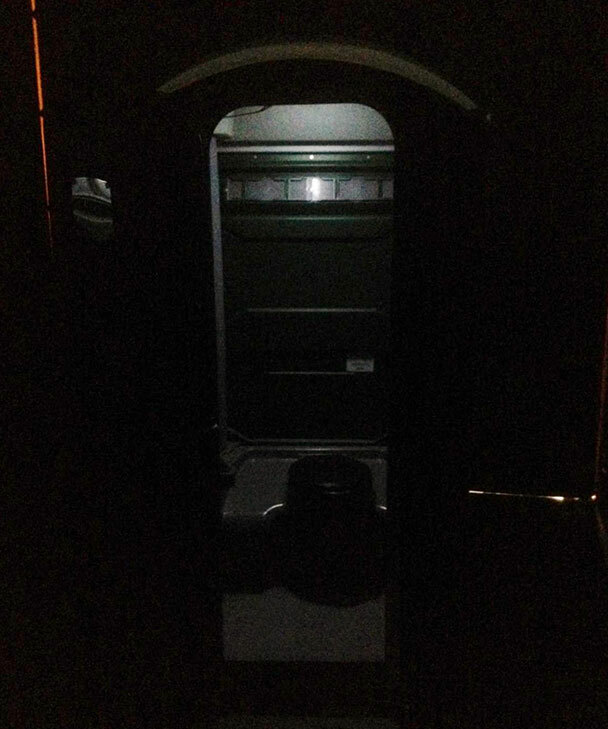 What are the benefits of a wash station compared to a sink inside a portable toilet you ask? Price: Particularly if more than one toilet is needed. There is no need to rent a couple toilets with sinks within which are pricier. Instead rent our package of one wash station with a couple of toilets. Capacity: The wash station has more fresh water capacity than the sink/toilet unit, which means you get more use from the free standing sink. Free stand wash stations has approximately 350 uses. Convenience: No need for guests to go inside the portable toilet just to wash their hands. Our wash station is available for hands or faces that need to be cleaned froms food prep, food eating and fun outdoor play. Our portable hand wash stations are great for those events where running water is not accessible and where the waterless hand sanitizer just isn't enough, like events with lots of food or events that involve animals. 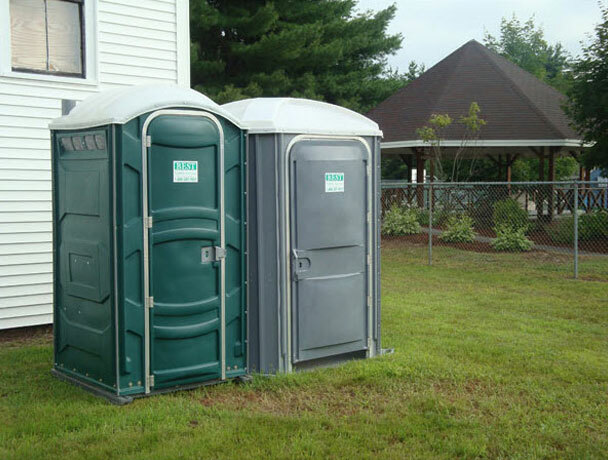 They are great for outside weddings and parties in partner with our portable toilets. Wash station include soap, paper towels and a trash can for the paper towels. Each wash station has two sinks. 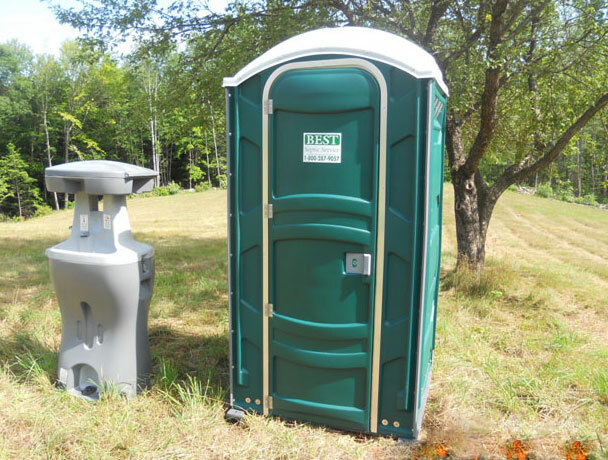 So when you're having an outside wedding, a BBQ, or a party provide your guests the convenient necessity of our clean portable toilets and our wash station. Please note the water in the wash station IS fresh clean water but not approved for food use or consumption. Call Best Septic Service at 603-225-9057 or 1-800-287-9057 to make reservations for your upcoming event(s) and the comfort of your guests. Servicing Allenstown, Belmont, Boscawen, Bow, Canterbury, Chichester, Concord, Contoocook, Epsom, Franklin, Gilmanton, Gilmanton IW, Hopkinton, Loudon, Northfield, Penacook, Pembroke, Salisbury, Tilton and Webster. A regular and handicapped toilet at Loudon's Old Home Day and one portable unit with one wash station. Solar lights for after dark use and the Fleet Model, more interior floor space and solar lit.